The primary symptoms of Carpal Tunnel Syndrome (CTS) are tingling, numbness and discomfort in one or both hands. Most cases affect both hands eventually. However, the tingling pain can and sometimes often extend outside this area. The symptoms of CTS also tend to develop gradually, and usually, start off being worse at night or early in the morning. 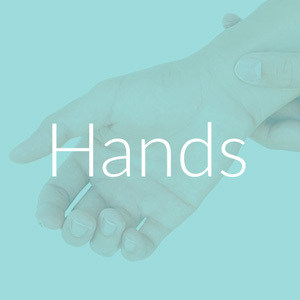 Any repetitive actions of the hand or wrist can aggravate the symptoms, as can keeping your arm or hand in the same position for a prolonged period. In some cases, you may encounter pain that radiates from your hand up to your forearm and elbow. CTS often affects your dexterity, which is the ability to use your hands effectively to carry out certain tasks. You may find you often drop objects, or have difficulty typing or closing buttons. The symptoms of carpal tunnel syndrome (CTS) are generated by crushing (compression) of the median nerve at the wrist. Any stress on the median nerve can disrupt the nerve signals, affecting your sense of touch and hand movements. The median nerve can become squashed if the tissues inside the carpal tunnel become swollen or the carpal tunnel narrows over time. In most cases, it is not known what causes the median nerve to become compressed, although some things increase the risk of developing CTS. These risk factors are outlined below. Studies have shown there's a genetic link to carpal tunnel syndrome. This means you may have an increased risk of developing it if others within your family have the ailment or have had it in the past. About one in four people with carpal tunnel syndrome have a close relative, such as a parent, brother or sister, who also has the condition. It is not fully known how and why the ailment is passed on through families. Certain health conditions appear to increase your risk of developing carpal tunnel syndrome. Carpal tunnel syndrome can also develop when a person has an abnormal wrist structure, such as an oddly narrow carpal tunnel. It can also be a result of cysts, growths or swellings in the carpal tunnel. CTS is common during pregnancy, although the exact cause is not known. Many cases resolve after the baby is born. It is not known whether women who have CTS during pregnancy are at greater risk of forming the condition in later life. CTS is also common in women around the time of the menopause. Carpal tunnel syndrome can sometimes occur after a hand injury, such as a sprain, fracture or crush injury. This is because the swelling places stress on the median nerve. Also, these types of injuries can change the natural shape of the bones and ligaments in the hand, leading to increased stress on the median nerve. Certain actions may trigger the development of carpal tunnel syndrome. These tend to involve strenuous grip, bending the wrist repetitively (flexion) and exposure to vibration. Further study into the link between work-related hand use and carpal tunnel syndrome is required to ascertain how important these types of activities are in causing the condition. Although typing is often considered a possible cause of carpal tunnel syndrome, carpal tunnel syndrome is less common in people who type all day than those who carry out more strenuous activities. Treatment for carpal tunnel syndrome (CTS) depends on the severity of the nerve damage and your choices. In some cases, CTS improves after a few months without treatment. You should try to avoid any exercises that make your symptoms worse. If your work involves using a computer keyboard, there's little evidence that adjustments at your workplace are likely to be of any help in alleviating your symptoms. If symptoms persist, there are a range of non-surgical and surgical treatments available that aim to relieve the pressure on the median nerve. If carpal tunnel syndrome is caused by an underlying health condition, such as rheumatoid arthritis, treating the situation should improve your symptoms. If you develop carpal tunnel syndrome during pregnancy, your symptoms should pass after your baby is born – after about 6 to 12 weeks. However, if the median nerve is severely crushed (compressed) or the symptoms are long-lasting (chronic), permanent nerve damage and muscle wasting can occur, and treatment will be required. Unless there's thought to be an urgent need for surgery, procedures such as wrist splints and corticosteroid injections are often suggested initially. A wrist splint is worn to support the wrist and prevent it bending. Bending places pressure on the nerve and worsens symptoms. You should begin to notice a change in your symptoms within four weeks of wearing the wrist splint. Wrist splints are usually available from larger pharmacies, or your GP may be able to recommend a suitable supplier. They can also be ordered online. Corticosteroids are a type of steroid medication. They are powerful chemicals that can help reduce swelling. If a wrist splint does not work, this type of steroid medication may be recommended. Corticosteroids can be taken as tablets, although for carpal tunnel syndrome it is likely that you will have a corticosteroid jab directly into your wrist. One injection is usually suggested, to begin with. If the condition responds well to one injection but then reappears, the treatment can and may be repeated. Surgery is usually recommended for cases of CTS when other treatments have been unsuccessful to relieve symptoms. Surgery for carpal tunnel syndrome is known as carpal tunnel decompression or carpal tunnel release surgery and is performed on an outpatient basis. During surgery, the roof of the carpal tunnel (carpal ligament) is cut to reduce pressure on the median nerve in the wrist. A local anaesthetic is used to numb your hand and wrist, but you will remain awake throughout the operation. The surgery can be performed as open surgery, which involves making a single cut in the wrist. There are no long-term differences in the outcomes of the two approaches. Mr Riaz will be able to discuss the most appropriate method of surgery with you. In most cases, carpal tunnel release surgery provides a complete and permanent cure. However, as with any form of surgery, there's always a small risk of complications. There are a variety of different directions for postoperative care. There's no evidence that one way is better than another, but your surgeon will give you advice. The most common advice after carpal tunnel release surgery is to keep your hand in a bandage for a couple of days, and you may need to wear a sling. You should keep your hand raised for 48 hours to help reduce any swelling and stiffness in your fingers. Gently exercise your fingers, shoulder and elbow to help prevent stiffness. You may be able to start these gentle exercises on the day of your operation. After having surgery for carpal tunnel syndrome, you can use your hand to do light activities that don't cause excessive pain or discomfort. Try to avoid using your hand for more taxing activities until it is completely recovered, which may take several weeks. Live outside Hull & East Yorkshire? Here's some useful information if you need to travel and stay over as part of your Carpal Tunnel Syndrome surgery procedure.